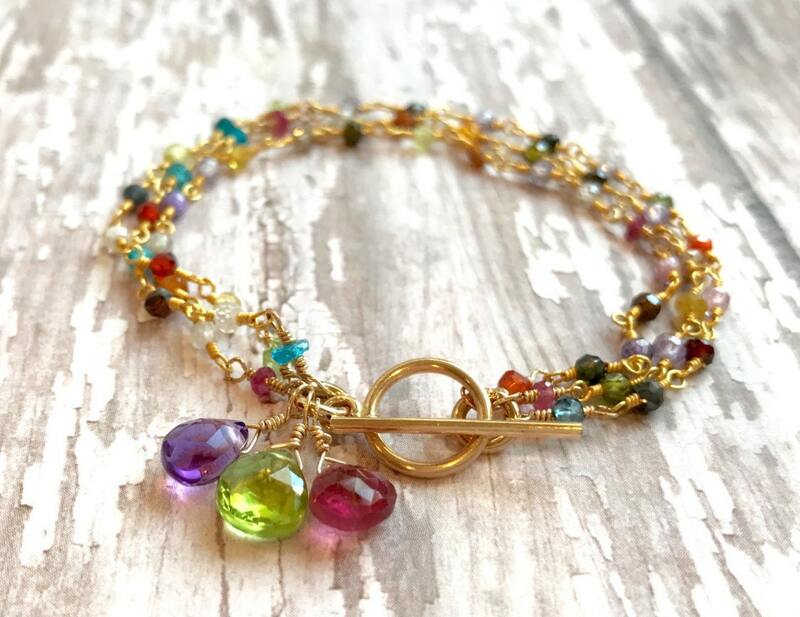 The perfect gift for mothers, grandmothers or a special friend! 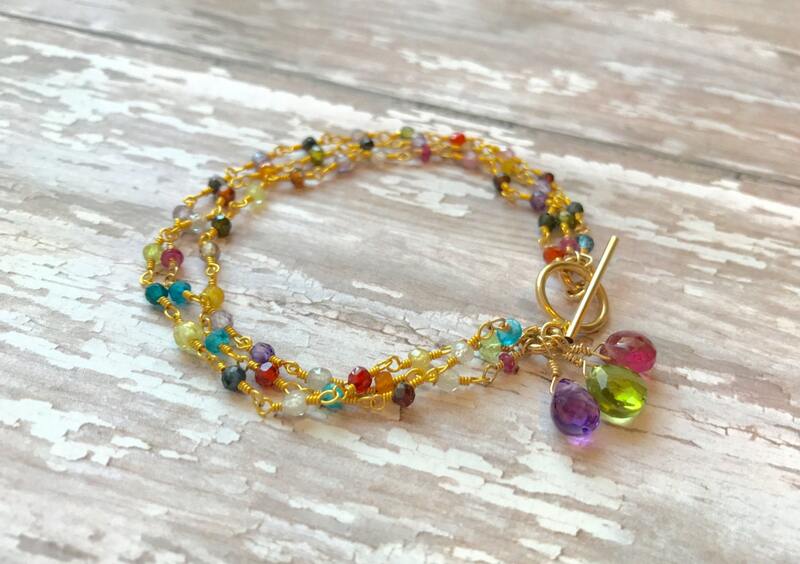 3 strands of tiny sapphires, tourmalines, cubic zirconias and many other gemstones surround your wrist in this colorful bracelet. 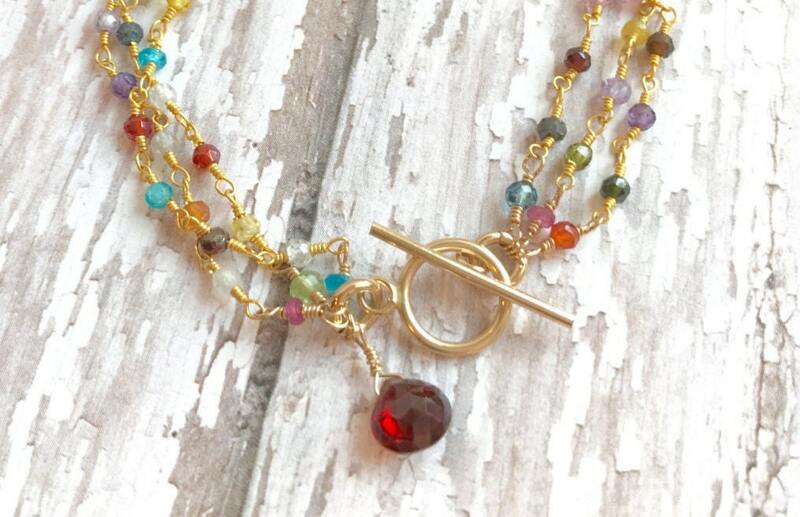 The gold fill toggle makes it easy to get on and off, while gemstones dangle down from the clasp. Apatite, peridot and citrine are shown in the first pic. January (garnet) featured in 2nd pic. August (peridot), February (amethyst), and October (tourmaline) shown in the 3rd picture. Add your own unique combination of color. 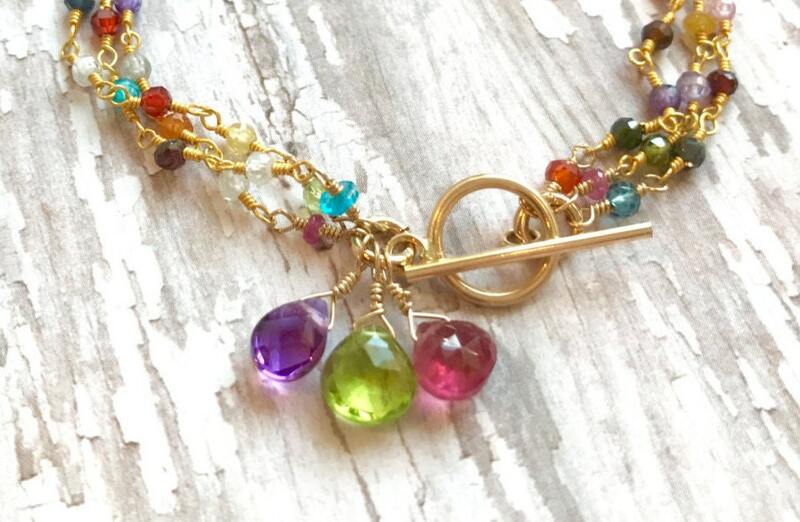 Convo me with questions about birthstone colors. 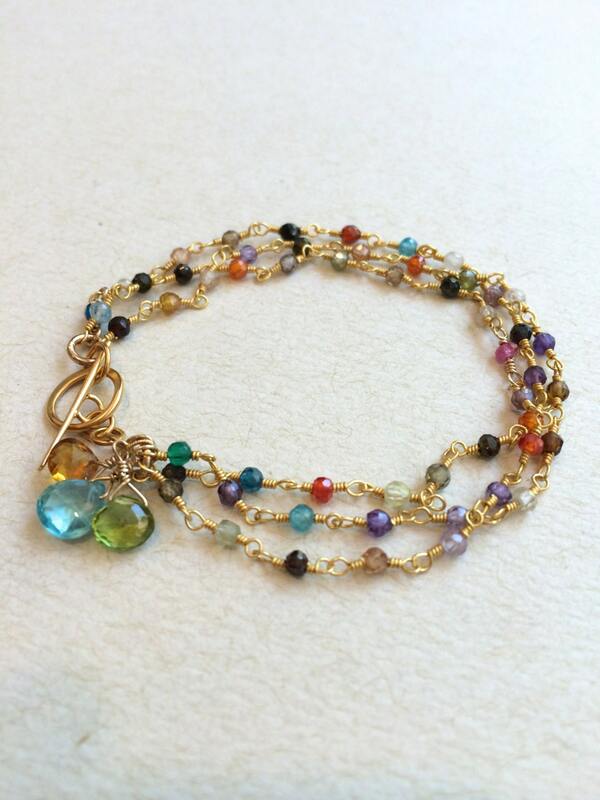 I use genuine, high quality gemstones. You will be delighted with their clarity and color.